For some students of the English Montreal School Board, the toughest part about going back to school this week hasn’t been the early alarm clocks or cracking open their books again - it’s been sitting in classrooms that have no air conditioning. For some students of the English Montreal School Board, the toughest part about going back to school this week hasn't been the early alarm clocks or cracking open their books again — it's been sitting in classrooms that have no air conditioning. "It kind of gets in the way of my learning because I'm always really hot in the classroom and I can't concentrate on my work if I'm hot. It's something that happens to me all the time, even at home," said Alexia La Rocca, a Grade 5 student at Pierre Elliott Trudeau Elementary in Rosemont–La-Petite-Patrie. Her fellow students agree with her and on their first day of school, they had some advice for their teachers. "Have breaks for water and if then they should also put some fans in the classroom because it can be hot. 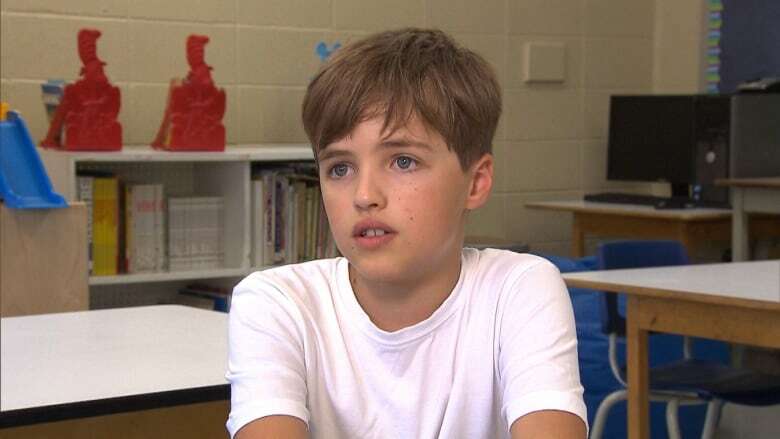 You can't really focus as much as when it's not hot, so you're focused on how hot you are instead of focused on your work," said Grade 6 student Caleb Turner. "If we can have an air conditioner in the corner of a class up high, we can turn it on," suggested student Aliya Andrade. Others have advice for parents. "Buy your kids a water bottle because it's very hot, especially in the beginning and end of the year because it's close to summer," said Elliot Reed in Grade 6. "They really should bring water bottles for their children," added Alexia La Rocca. The school board says it encourages teachers to pause frequently during class time for water breaks. "In the classroom, if they have to go have a drink of water at the water fountains, that's something that we do," said EMSB vice-chair Sylvia Lo Bianco. "Our staff members and our principals ensure that our students are drinking regularly and playing outside as much as possible during lunch and recess.…Unfortunately our schools are not equipped to have air conditioning. Although we would like to see that, that would not be a priority at the moment."